Two blissful hours of uninterrupted ‘you time’! A soothing full body massage, culminating in a gently reviving facial and tension relieving scalp massage. I truly believe regular massage can have a genuinely life enhancing effect and therefore want it to be accessible to as many people as possible. If you are committed to keeping a regular time slot once a week I am happy to offer a much reduced rate to support your investment in your own wellbeing. Please note this is only available at the Meadowspace in Ciliau Aeron. Deeply soothing to leave you relaxed and radiant! My holistic massage treatments are based on swedish massage techniques combined with deep tissue work, stretches, mobilisations, subtle energy work, lymphatic drainage, holds and breathwork. Each treatment is as unique as your day and your mood. At the beginning of each session we have a short chat about how you are using your body, any aches and pains and what is going on for you emotionally. I will always explain what I think might work and you can always tell me if you don’t like the sound of something! Holistic massage is typically skin to skin using oil. Although most people only wear pants (to allow easy access to all muscles) you are covered by a thick cotton sheet while I work on one area at a time. Your modesty and complete privacy are assured. I am very happy to work with more clothing or even through clothes if you have any concerns. I ask for and invite feedback on depth of work. Massage should NOT be painful! 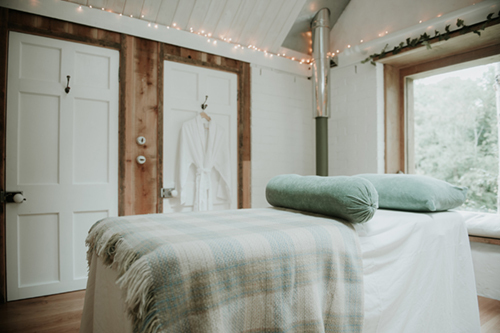 There is underfloor heating, a wood burning stove, cosy dressing gowns, fresh fruit to nibble afterwards and Neals Yard Organic products to browse. "I have been receiving weekly massage from Jessie to help with the symptoms of Motor Neurone Disease and have found it to be very beneficial. Jessie inspires great confidence as she not only has a thorough knowledge of anatomy but she does her own research into my condition so that I get the best out of each massage. My movement is now very restricted so having muscles worked into is a great way to keep them feeling active and alive and I always feel the benefit afterwards as well as enjoying the treatment and the company." "As soon as you are in Jessie’s presence you feel well cared for and her massages are beautiful! Jessie is very emotionally aware and genuinely cares for you, ensuring you get the best out of your treatment. I leave feeling energised and in a far better head space, I highly recommend!" "Utterly relaxing as well as stimulating! Afterwards in my bath I rolled over onto my front and blew bubbles in the water – something I haven’t done since childhood…such a playful feeling was an unexpected bonus!" "Massage with Jess gives me a safe place to relax, feel held, nourished and cared for in many different circumstances. I have worked through physical symptoms such as painful shoulders and carpal tunnel with her, found myself uplifted after she has worked deeply on long held areas of tension and have even found myself spontaneously crying mid massage as something ‘released’. 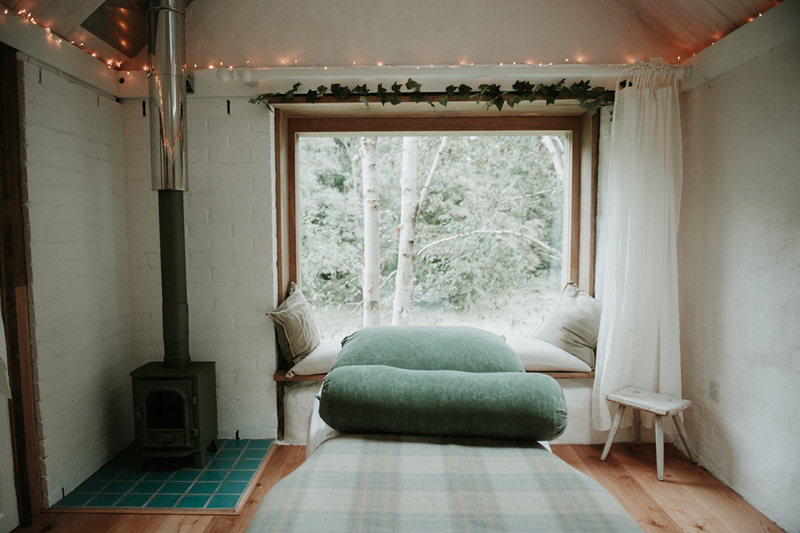 It felt safe to express myself and Jess’s calm acceptance left me feeling looked after and comfortable after which I went home and slept better than I had done in ages." "My partner bought me an hour massage with Jess as a birthday gift. It was a full body massage aimed at relaxation. My job involves a lot of physical work, lifting, carrying & walking and the muscles get tight and knotted. After the massage I found all muscular tension had been released and I had the best night's sleep for a long while. I would highly recommend Jess to anyone as a massage therapist."